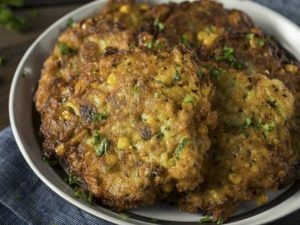 These quick-to-make fritters are perfect for a vegetarian lunch or as dinner for anyone else, served as a side with grilled meats. 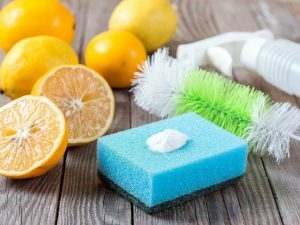 They’re also a good way of getting kids to eat more veggies. 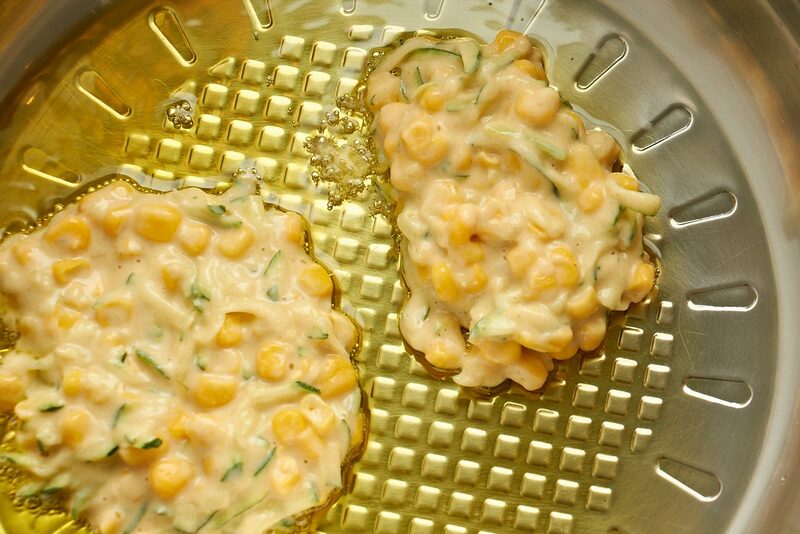 Tender sweetcorn is teamed with zucchini (courgette in the UK), coated and lightly fried. It’s served with sweet chili sauce, and chopped avocado and tomato as a tasty salsa. 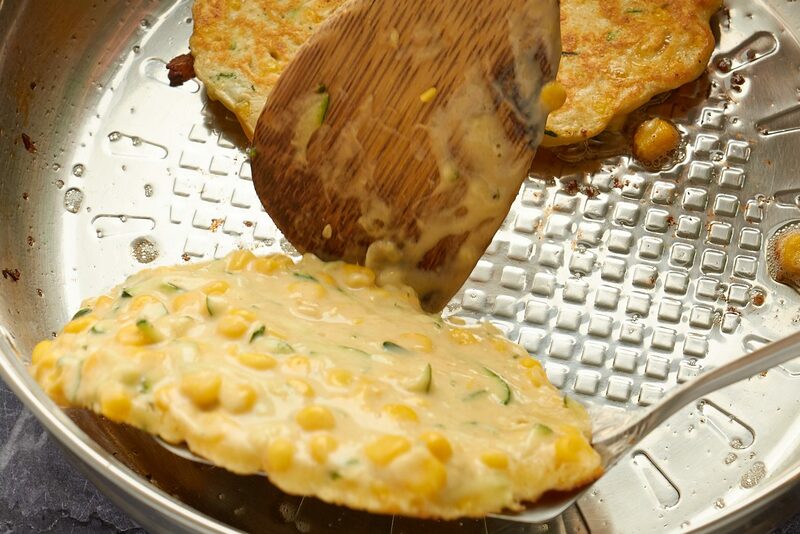 Whisk together the corn, zucchini, eggs and milk. Gradually stir in the sifted flour and cumin, salt and pepper. Heat a little oil in a non-stick frying pan over medium heat. 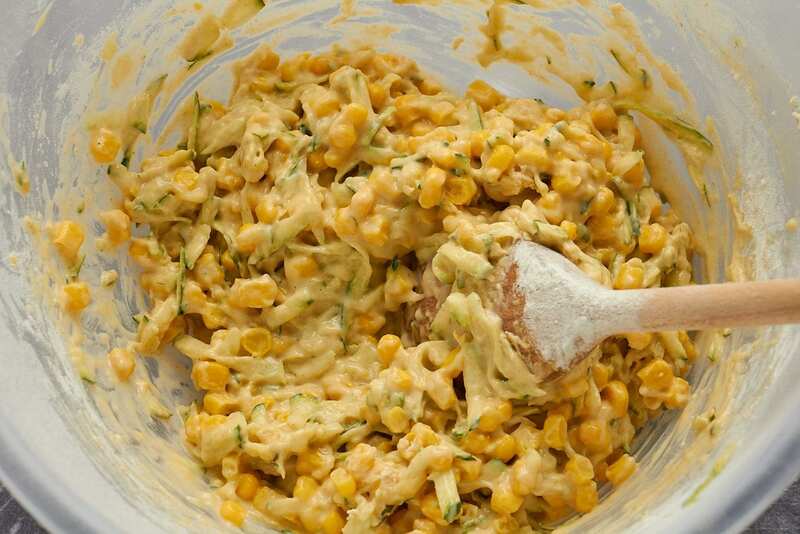 Using a tablespoon, place heaped spoonfuls of the mixture in the pan and cook in batches. Using a spatula, turn them once. Cook until golden and cooked through. 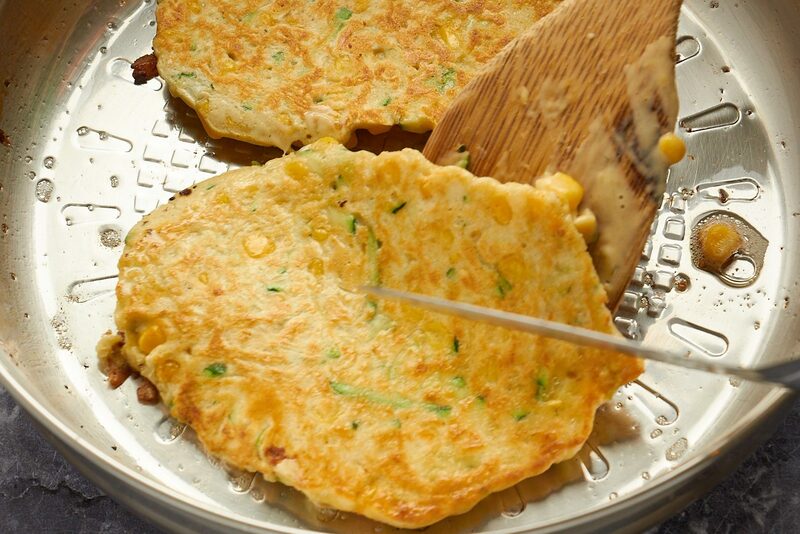 Drain on some paper towels, and cover and keep warm as you cook the remaining fritters. 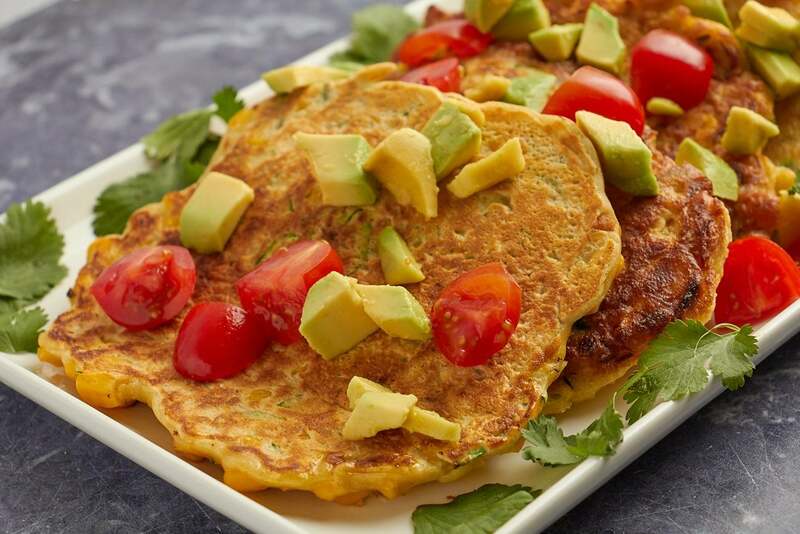 Serve the cakes with chopped tomato, avocado, coriander leaves and sweet chilli sauce.